Israel is constantly in the headlines, and it’s rarely for the art scene. Tel Aviv, however, can at times feel a world apart. The nearly 430,000-person city is more secular than other parts of the country, and is known for its restaurants, bars, street art, and many galleries. It has a little bit of everything for creatives, regardless of how people want to express themselves. No one knows this better than the artists currently living in Tel Aviv. Ariela Wertheimer is an artist who was born, raised, and artistically trained in Israel. Like many artists in the city, she uses Tel Aviv as both inspiration and a platform for her paintings, drawings, and photography. 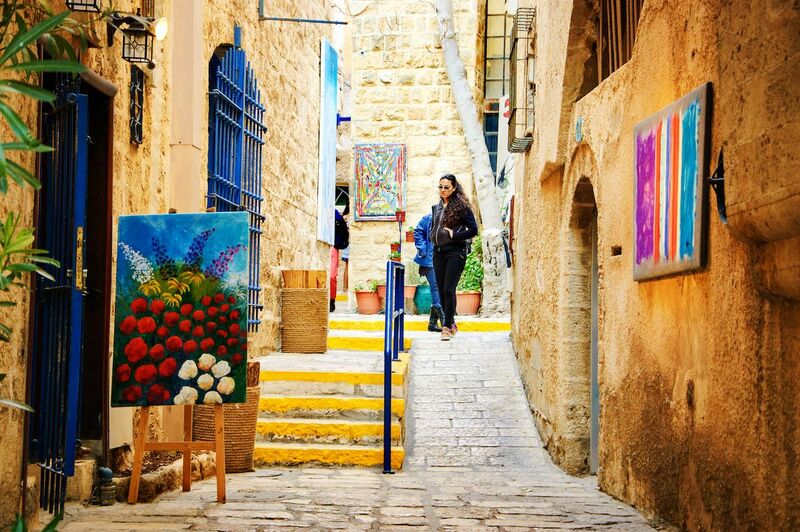 No trip to Tel Aviv is complete without a thorough exploration of its art. Wertheimer is currently showing a collection called The Odyssey in Jaffa inspired by the colors, light, and sea. We caught up with Wertheimer to learn more about what makes Tel Aviv such an exciting place for people who make — and love — art. Tel Aviv is smaller than the best street art cities in the world, and much smaller than the major art hubs that everyone knows. Yet it holds its own thanks to the mix of influences and the strong art community. Go to Tel Aviv for the art museums and galleries. Tel Aviv’s established artists have a home in the many museums. Some are large and some are small galleries, but all offer a professional space for artists to exhibit their work. This is just a short list of museums to get you started. 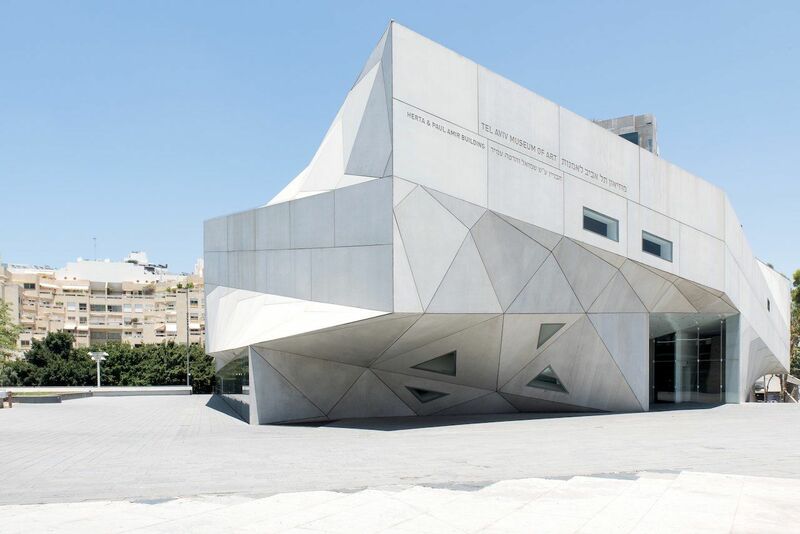 Tel Aviv Museum of Art: A modern art museum that rivals those in the world’s top metropolises. It opened in 1932 — more than 15 years before Israel was established. Here, you’ll find exhibits from both Israeli and international artists in permanent and rotating galleries. There’s work from the masters like Picasso and Dali as well as contemporary pieces. The building itself is striking, from its five floors to its oblong shape and concrete facade to the atrium that sheds light on the art inside. Make sure to set aside plenty of time for your visit. Eretz Israel Museum: Spread around an archaeological site, the Eretz Israel Museum has exhibits featuring history and ethnography along with art and culture. This is where to go when you’re looking for a sense of Israel’s past art and humanities. Beit Hatfutsot: The full name is Beit Hatfutsot: Museum of the Jewish People, which gives you a good understanding of the type of scope this museum covers. Exhibits here look at Jewish history and art in the Jewish diaspora, not just in Tel Aviv. The museum is family friendly with plenty of sections designed just for kids. If you’re looking for something a little different than a museum but with the same respect to presentation, check out some of the many galleries in Tel Aviv. At the top of your list should be the Sommer Gallery, the Center for Contemporary Art, and the Inga Gallery of Contemporary Art. But stay for the street art. With Tel Aviv’s reputation as the center of modern art culture in Israel, there’s no shortage of traditional museums. It takes a lot more than museums to make a city an art destination, however, and Tel Aviv’s art scene starts on the street. Wertheimer suggests starting with a tour. Going it alone (especially for people who don’t speak or read Hebrew) can be a bit overwhelming. Thankfully, there are many tours to choose from. Grafitiyul: The name of this company is a mashup of “graffiti” and “tiyul,” which means “trip” in Hebrew. The various tours run by the group send people through streets and walls filled with graffiti. There are both day and night tours, as well as tours led by local graffiti artists where you get to try your hand at spray painting your own tags. 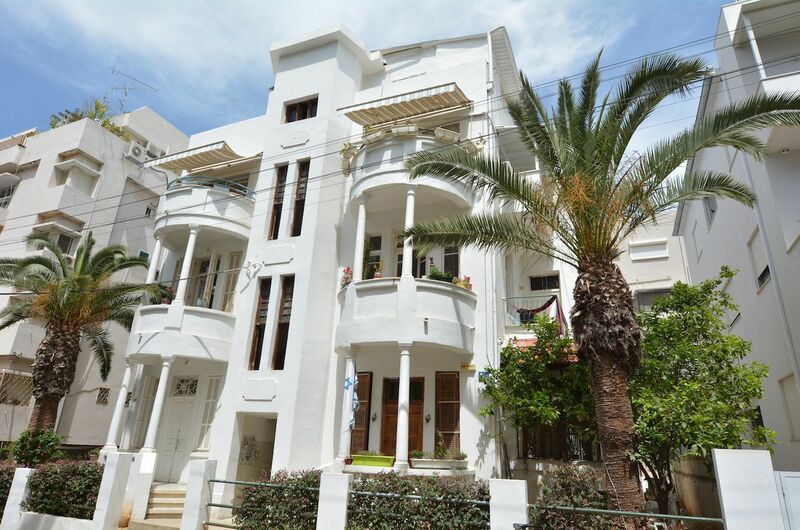 Artspace Tel Aviv: In the southern part of Tel Aviv you’ll find the area of Kiryat Hamelacha. It’s loaded to the brim with street art and galleries featuring artists from all walks of life. Artspace works with around 300 artists to showcase established and rising talent. Alternative Tel Aviv: As mentioned before, one of the main things that will be competing to drag your attention away from the art in Tel Aviv is the constant food. Choose both instead. 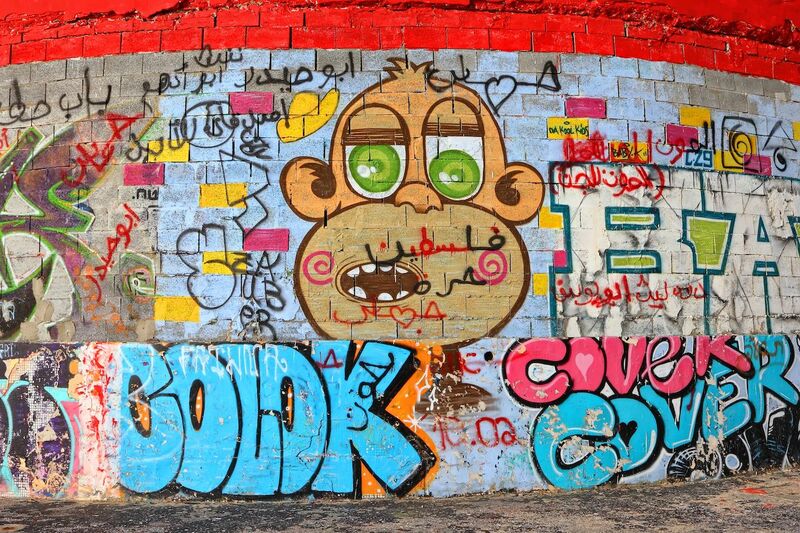 Alternative Tel Aviv has both sole graffiti tours and a combined graffiti and food tour of the south part of the city. It’s not just the art, it’s the architecture, too. The foundation for Tel Aviv started in 1909 just north of Jaffa, a port city. The British ruled the region as Palestine from 1917 to 1948, and during that time, the White City of Tel Aviv was constructed by European-trained architects. Today, the area has one of the highest concentrations of Bauhaus architecture and is recognized as a UNESCO World Heritage site. If you couldn’t tell from the name, most of the buildings in the White City are white. Take a walk down Rothschild Boulevard to get a taste of what makes the White City one of the trendier spots to gather as well as to see what people mean when they say buildings can be art unto themselves.